The building was erected in 1867, as a combined school and chapel of ease. It was later converted to a church by adding a chancel, vestry and porch, and was consecrated as Christ Church on 1 October 1879. 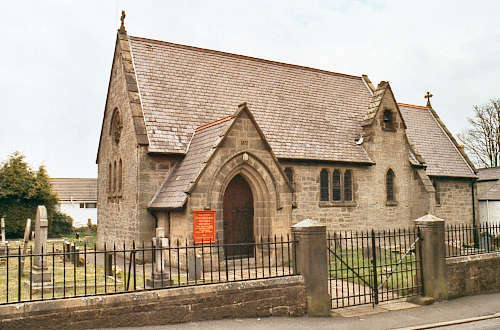 The new parish of Bwlchgwyn was created on 5 March 1880, from a portion of the parish of Brymbo, and a small part of the parish of Llanfynydd. For family history information about the church and parish, visit the GenUKI Bwlchgwyn page.